MSU Faculty Art Show Opens Friday! 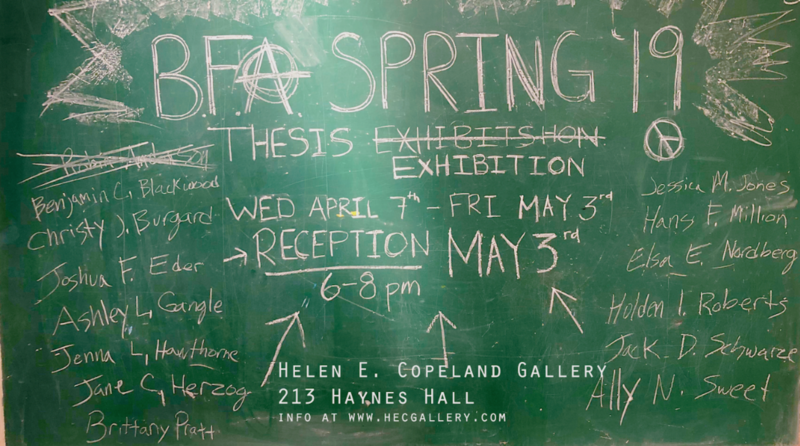 MSU School of Art and the Helen E. Copeland Gallery are pleased to announce the opening of The School of Art Faculty Exhibition featuring work by School of the Art professors. The exhibit opens on Friday, February 12th 2016 in the Helen E. Copeland Gallery, and runs until February 25th. There will be a closing reception on February 25th from 6:30 – 8:30 pm. There will be a cash bar and hors d’oeuvres. Showing a wide range of mediums from printmaking to metalsmithing, ceramics to encaustic, the show promises to give a insight into the artistic teachings at MSU, one of the top 100 art schools in the USA The faculty show their work nationally and internationally, as faculty, they are united in their determined dedication to teaching the history, craft and ideas of art, while their aesthetic achievements convey an underlying dedication to a creative process that gives intrinsic meaning to human experience. Previous postCongratulations to Ella Watson, MSU Gallery Director! Featured at the Holter Museum of Art until April! Next postMug Sale for the Ceramics Guild!